When it comes to quick breakfast, there are plenty of options. You can go store-bought with frozen breakfast sandwiches or waffles, boxed cereal or breakfast bars. You can throw together three-minute scrambled eggs, a fruit-and-nut yogurt bowl or a green smoothie. 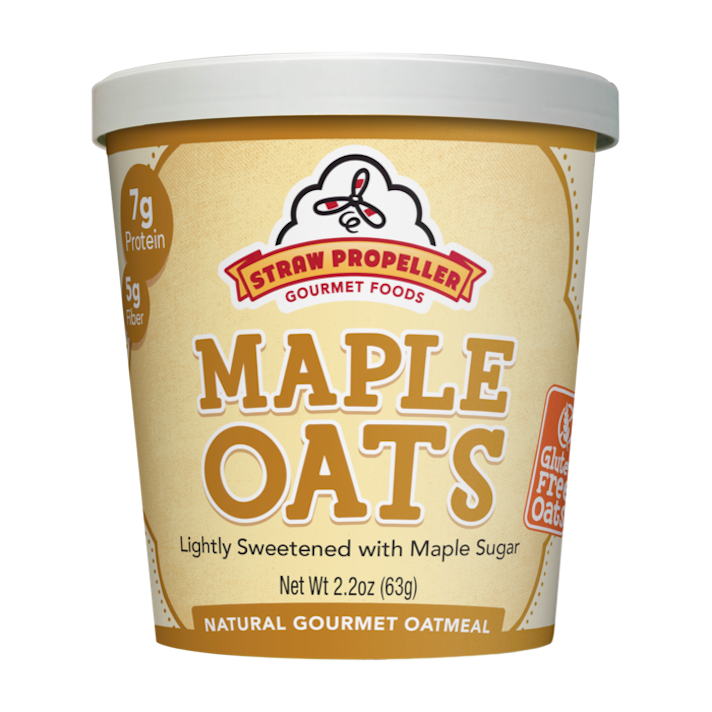 But when you want a hot breakfast that’s versatile and super-inexpensive, nothing beats instant oatmeal. The only problem? It can be tough to find instant oatmeal packets that have flavor (read: aren’t just plain oats) but aren’t packed with added sugar. 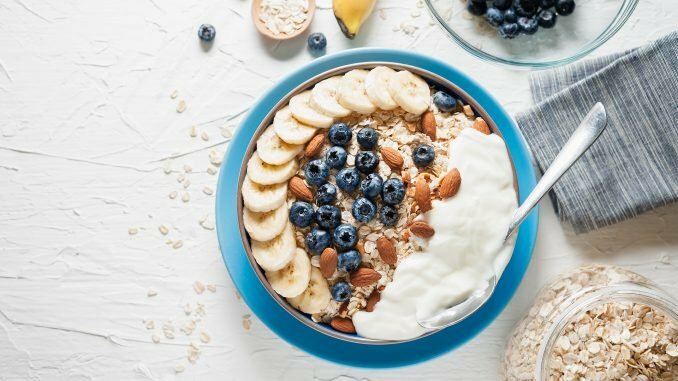 To be clear, a little added sugar won’t kill you, especially when mixed with the slow-digesting fiber in oats plus a little fat and protein if you choose to make your oats with milk. But if you get too much added sugar in the morning, your energy levels might crash before it’s time for lunch. Luckily, you can find instant oatmeals that aren’t packed with sugar if you know where to look. 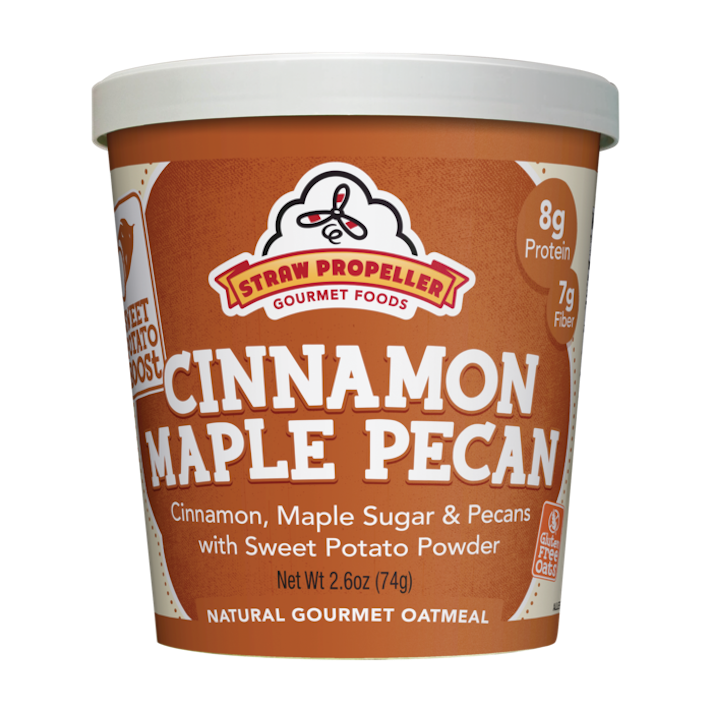 The 10 instant oatmeal options below all contain 6 grams of added sugar or less per serving but still have plenty of flavor. Some, like the Quaker and Straw Propeller offerings, are a little bit sweeter than the others, which is something to keep in mind if you’re planning to give these to picky eaters. And note that some list the added sugar count separately, while others only list the total amount of sugar from both added sugars and the naturally occurring sugars in dried fruit and other mix-ins — either way, they’re all wholesome options that’ll power you on until lunch! 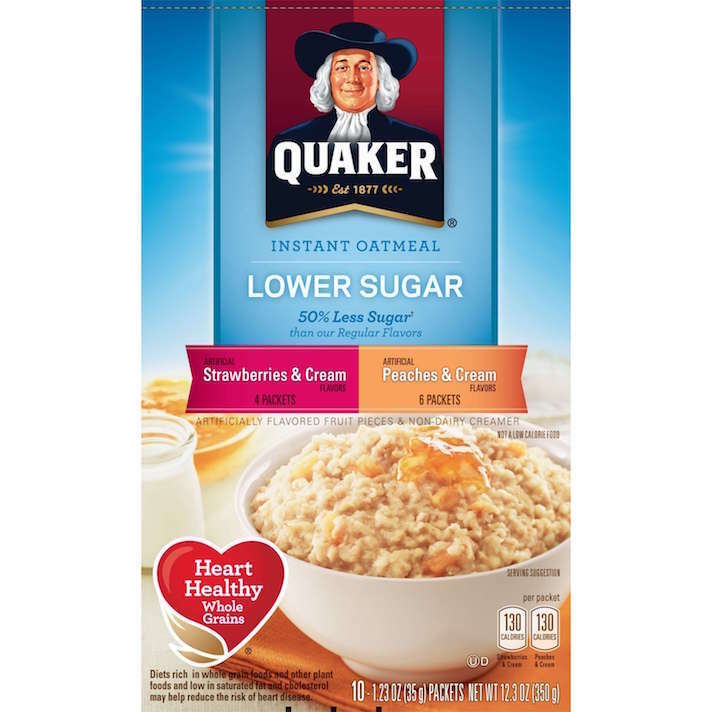 The old-school Quaker instant oatmeal packets are super-sweet, but the brand has since launched lower-sugar versions of popular flavors. The peaches-and-cream and strawberries-and-cream varieties both have just 5 grams of sugar per serving. Much of it does come from added sugar, but there are also chunks of dried fruit in there to, ahem, sweeten the deal. 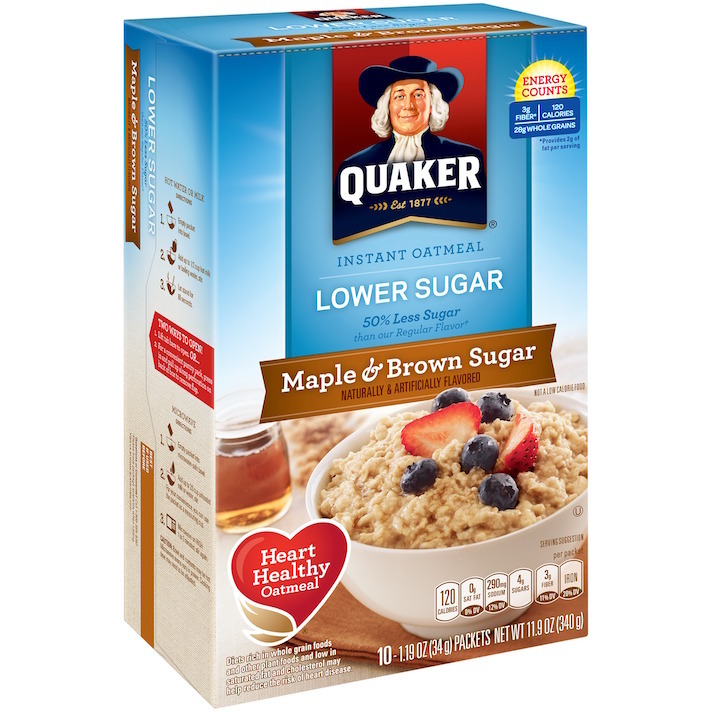 If fruity oatmeal isn’t your thing, these maple-and-brown sugar oats from Quaker are fruit-free. They have a caramel-y sweetness but just 4 grams of added sugar. 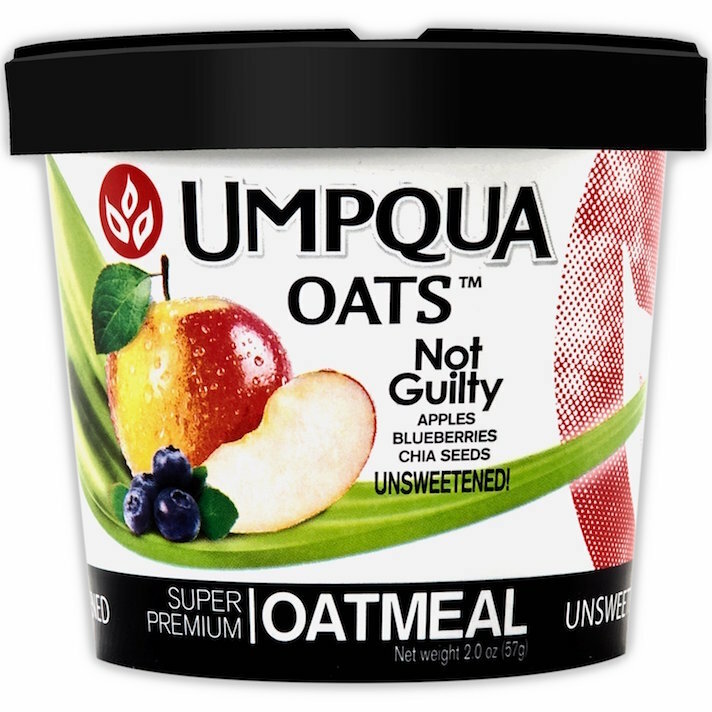 This oatmeal cup has the impressive distinction of no added sugar at all. 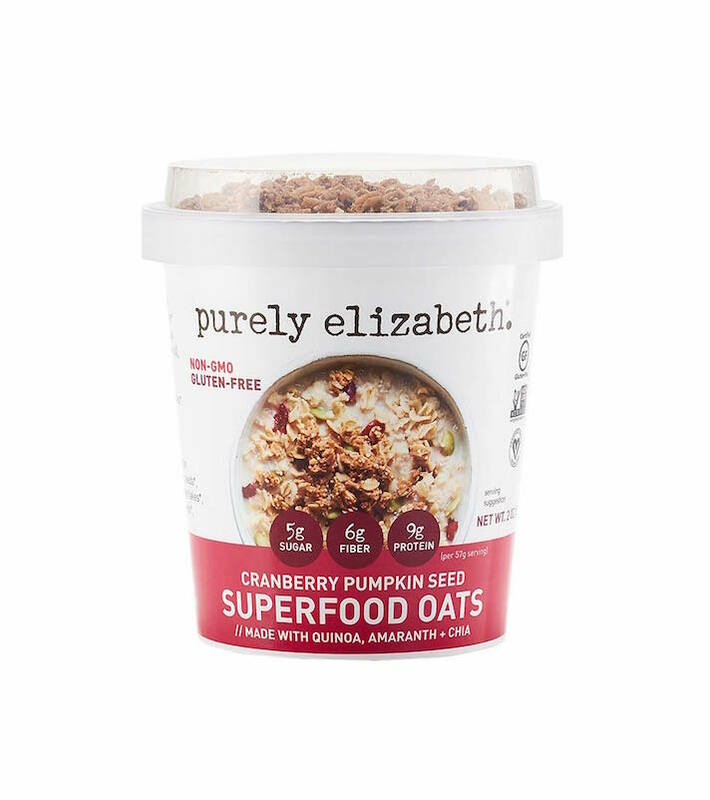 Freeze-dried blueberries and apples add 2 grams of natural sugar, but this one isn’t super-sweet. What these oats lack in sugar they more than make up for in varied texture and flavor: soft oats, chewy dried cranberries, dense pumpkin seeds and a crunchy granola topper. Each cup has just 5 grams of sugar plus 7 grams of filling fiber. 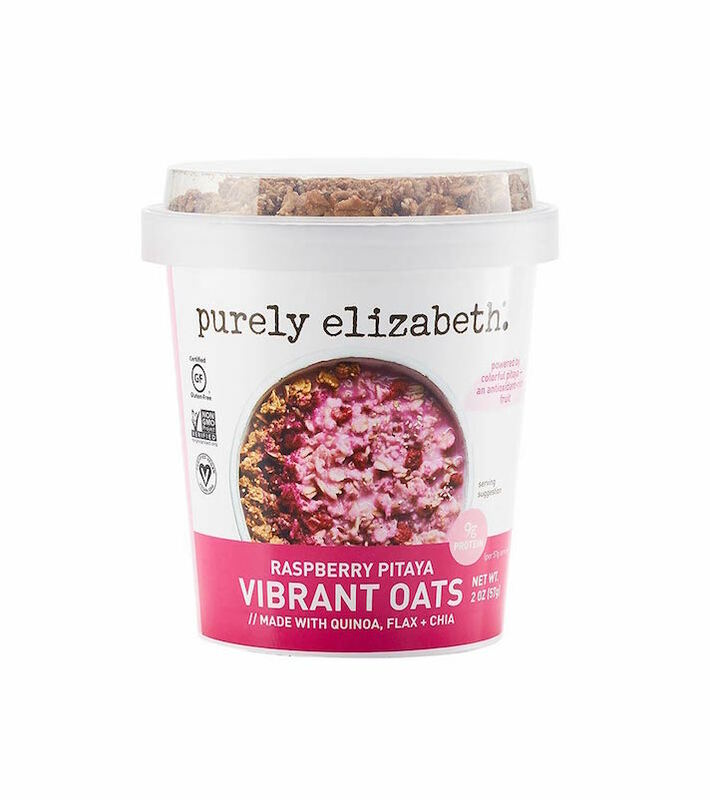 We also love the raspberry offering from Purely Elizabeth, which has just 6 grams of sugar and comes out a fun pink color. 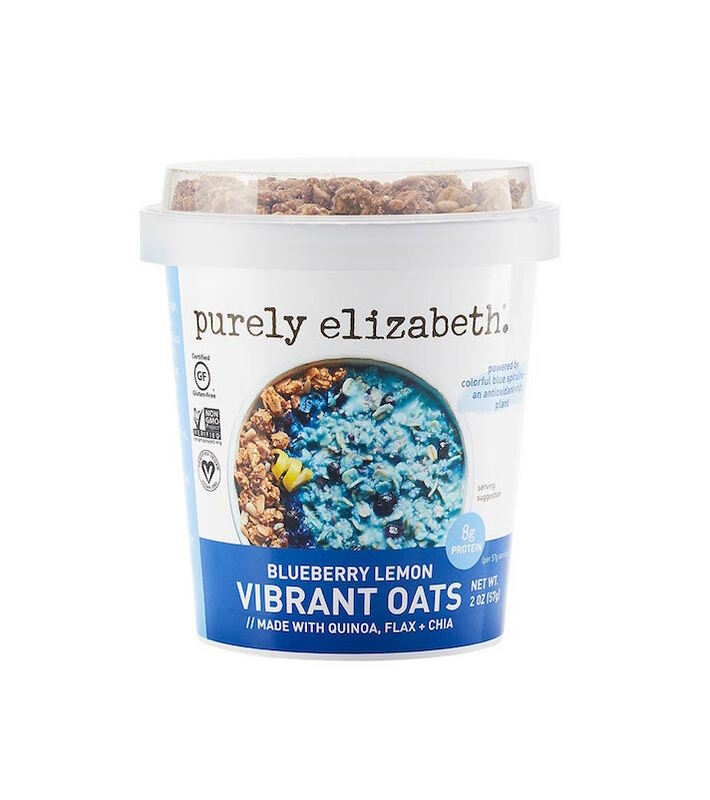 Trade in your morning blueberry muffin for these gorgeous blueberry oats, which have just 6 grams of sugar. 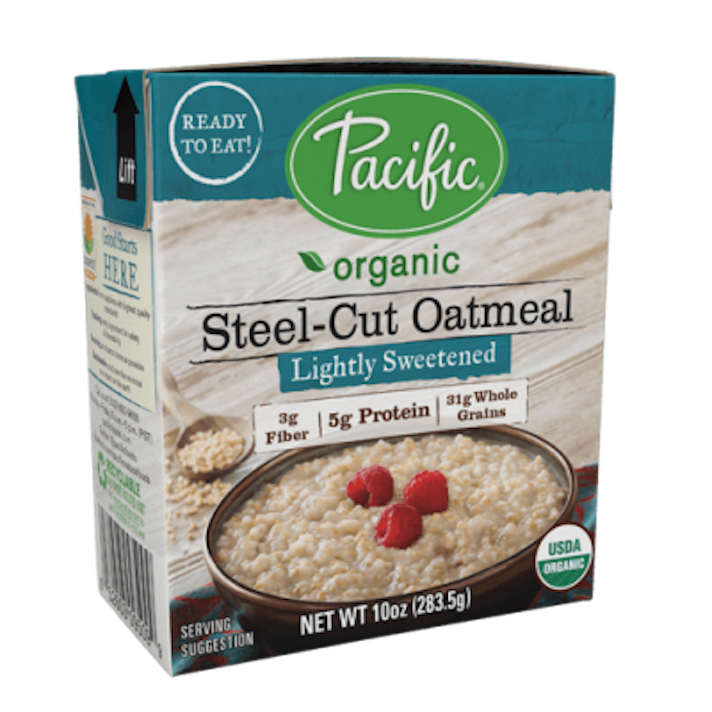 Steel-cut oats are a little more dense and nutty than rolled or instant oats. This is great when it comes to the finished product but inconvenient because it means they take far longer to cook. Skirt that problem with these precooked steel-cut oats, which you just need to heat up. They’re lightly sweetened, with 6 grams of sugar per serving, and taste great topped with some fresh fruit. This muesli cereal is perfect for making overnight oats. Add enough milk or yogurt to cover the oats, then let everything sit in the fridge overnight. 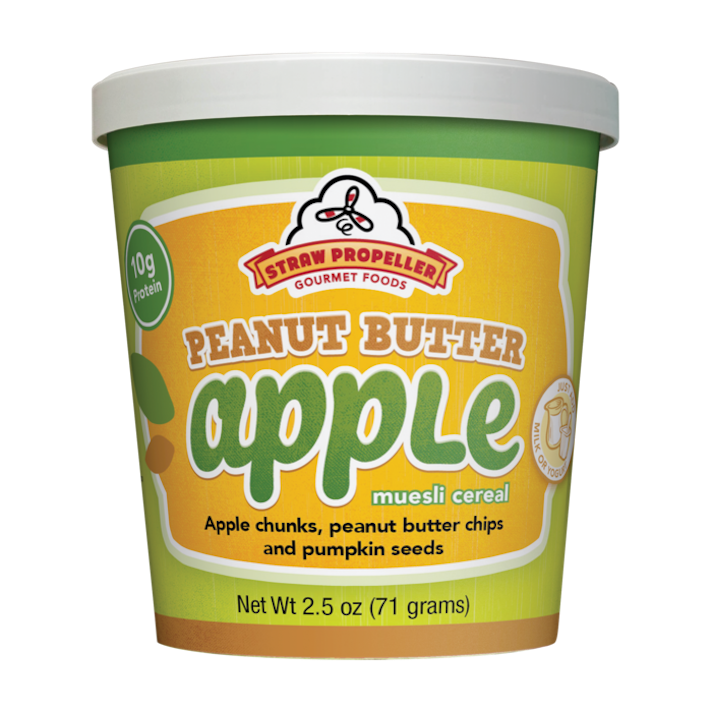 Each cup has just 3 grams of added sugar (in the peanut butter chips! ), but also contains apples for natural sweetness. For purists, these super-simple maple oats are just oatmeal, maple sugar and salt. With only 6 grams of added sugar, they’re a good bet and taste great with a little peanut butter stirred in. These slightly sweet oats are reminiscent of Thanksgiving pie and get an extra boost of sweetness from a surprise hidden ingredient: sweet potato powder.